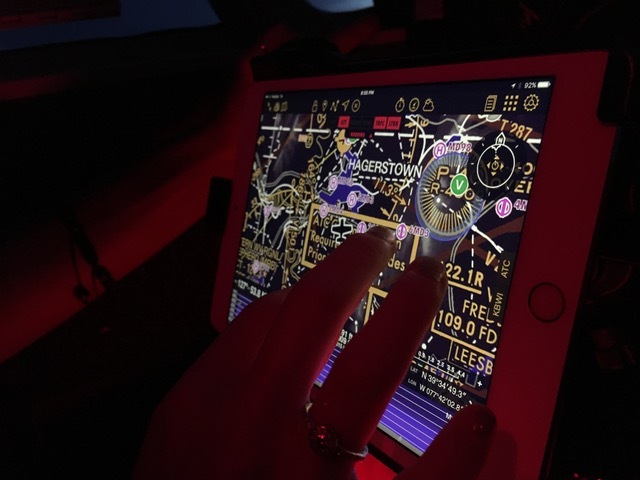 The iPad is an essential part of a pilot's life since it can improve your flight planning time. There are multiple things that you need to look out for when you're in a flight. Air Navigation Pro is designed to lessen your worries when it comes to flight-planning, navigating and reviewing your flight. Even though AirNavPro has your back, there are things that we can't control, especially with our assisting devices. 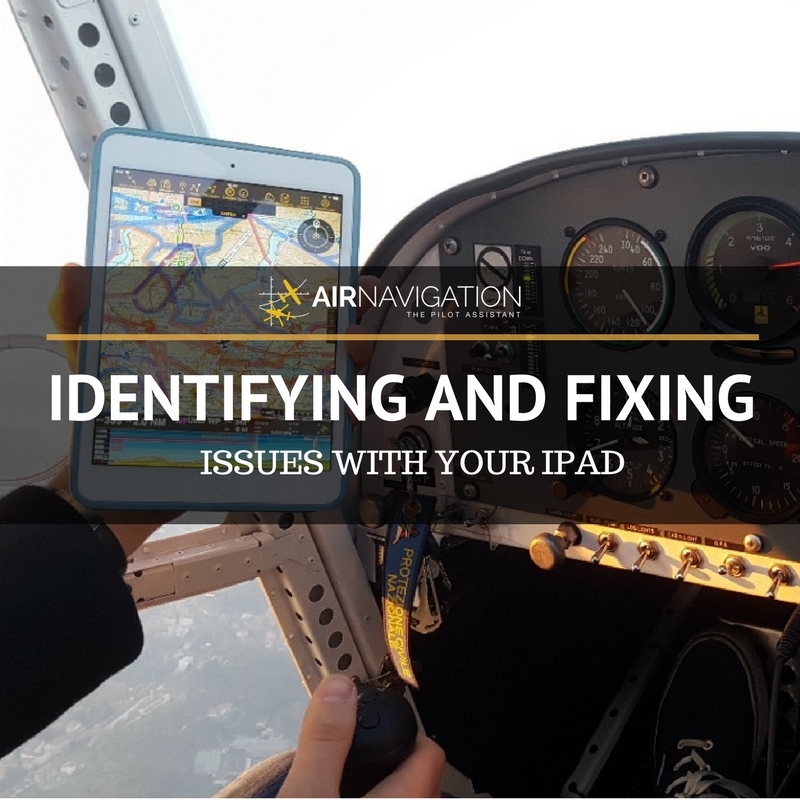 Here are some tips to help you identify possible issues with your iPad while in flight and how to fix them. One of the main issues that our pilots always have is that iPads usually runs out of battery while in a flight. Having your iPad run out of battery while you're in a flight is a serious matter. With the iPad's expected life of 4-6 hours, with internal GPS source turned on, it is better to make sure that you always have an extra portable battery charger or a power bank as a back up. Also, remember to bring with you a high quality lightning cable to avoid possible interference with the radios. Another contributing factor that can drain your iPad's battery is the Location Services. Most apps are going to access your location which can affect your battery life. Make sure that you change the setting of your Location Setting by going to Setting > Privacy > Location Services, then tap each one of the apps to either 'Never', or 'While Using the App' to help conserve your battery life. You can get more information on Apple's support page on Location Service and Privacy. Another common issue that our pilots have with their iPad is overheating. Even if the cabin is within the iPad's recommended temperature of 0° to 35° C. There are still other things that you need to do to prevent the iPad from overheating. According to Apple's user guide, the iPad's maximum altitude to keep it from overheating is 10,000 meters, and even though you have the recommended temperature and you're below the recommended altitude, be aware of the device being direct sunlight that you're facing. As recommended by other pilots, mount your iPad near one of your air vents or have a cooling fan that can direct airflow to your iPad to prevent it from overheating. Remember to never leave your iPad in the cockpit. This can discharge your iPad completely, this can affect the iPad's battery and can also contribute to the cause of overheating. So never leave your iPad or any gadgets for that matter, in the plane. Auto-updates can happen while you're on your way out to fly or while you're in flight. It can be a huge problem since you can't fully use your iPad while it's updating or it might be the cause for some of your apps to freeze while you're in flight. In order to know that you can get the best features of Air Navigation Pro, periodically check the app for new updates. Our team is always checking for your feedback and updating the app so you can maximize every feature to their advantage. Last thing that you want while in a flight is finding out that your devices are no longer communication with each other. Prior to a flight, make sure to check the compatibility of your iPad and your external device. The Wi-Fi only iPad does not have an internal GPS, so it needs an external source. You need to consider the kind of external GPS that you'll be using. Also, if you're using an external GPS receiver, and you fly over 300 knots, chances are, you'll lose your GPS signal, specially if your device is on Airplane Mode. Usually, your GPS will turn back on after 30 mins or so. If this happens, go to your 'Location Services' and toggle it off then on, as well as your Bluetooth to refresh your GPS and you don't need to wait for another 30 minutes. The iPad has a feature where it automatically brightens the screen once it detects that the ambient lighting has changed. To avoid the glare of the brightness of the screen, go to Settings > General > Accessibility > Display > Accommodations > Auto Brightness. Although Air Navigation Pro already has the Night Vision feature, if you need to open another app like Aero Checklist, you can also use this hidden feature in your iPad that works on all apps. To enable this feature, go to Settings > General > Accessibility > Accessibility Shortcut > Smart Invert Colors. Once enabled, press the home button three times to invert the colors of the screen.